This old church serves as a symbol not just of the resilience of its architectural structure but also of its parishioners’ faith in God. 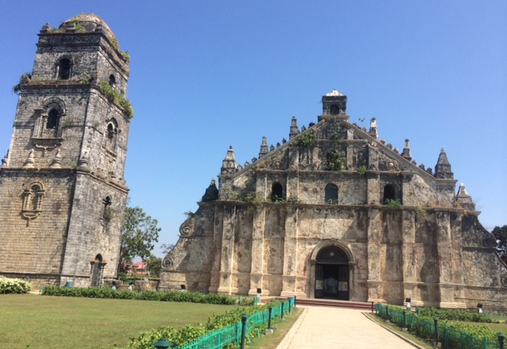 A visit to Ilocos Norte would not be complete without dropping by the St. Augustine Church, more popularly known as the Paoay Church. 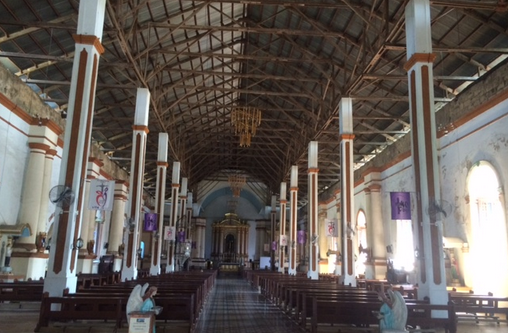 It is an interesting historical edifice that somehow conveys history not just of Catholicism in the region but also of strategic architecture withstanding natural calamities that are inevitable in the area. This UNESCO World Heritage site is most noted for its unique, yet artistic combination of Oriental, Gothic, and Baroque architectural design. Its construction commenced in 1704 and was completed only in 1894, indicating the meticulousness of how it was built. As an ‘earthquake Baroque’ structure, it was patiently constructed using baked bricks, tree sap, lumber, and coral rocks. Among the most noted features are the 24 carved massive buttresses that were obviously incorporated for physical support. Apparently, this feature was seen as an architectural solution to the natural setting and the usual natural calamities that hit the province (earthquakes and typhoons). Once you get to behold the church’s exterior from a few meters, you could easily be astounded by its classic beauty. The old edifice has obviously stood the tests of time—from natural calamities to man-made disasters and wars. Inside, one could easily tell that its restoration is continuously ongoing. But still, its age and natural beauty is more than enough for any church-goer to find peace and solace. 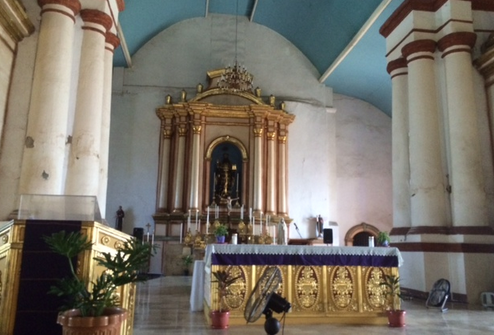 The Church of Paoay is obviously taking a serious role in the community. Of course, it has become a tourist wonder; but more importantly, it serves as a strong guidance to the faith of its parishioners. We can tell that up to this day, the church still holds a great influence in the lives of the town’s residents and even to tourists who come for devotion. Surrounding the church’s complex is a school and various commercial centers, which cater to locals who frequent the church and more especially to tourists who come to be awed by the old architecture and the outstanding resilience of the building. Different types of restaurants and food carts dominate the commercial entities, followed by shops that sell souvenir items, logically targeting pilgrims.